There is a smoke detector chirping in my house…I haven’t a clue which one it is. And when I do find it, I’ll need the ladder that is in the garage to change the battery. Or is it in the basement? And that battery, well it is still at the grocery. I figure the chirping will go on for a few more days. It couldn’t have decided to slowly die while my much taller brother was here. Nah. It is like the height gods are laughing at me. Who do exist…I have heard their chuckle while I try to reach the top shelf of my closets and cupboards. Don’t ask why I toss things up there…and yes, I did say toss. My yard is looking pretty darn awesome right now. No thanks to me, but to my mother (and dad…he is still recouping from one hellish gallbladder surgery so he was more help in instruction/guidance on the fertilization/thatching bit). My yard is mowed, thatched, and fertilized. My bushes (all of which I hate and openly wish they would die) are trimmed. And those neglected flower gardens….edged and mulched. Yeah…my parents rock. Allie and Carter helped me plant basil and rosemary. I have only meant to plant these seeds for about 5 weeks. I am to send them updates. I just hope I remember to water them on a regular basis. Allie said it wasn’t hard to grow things. She is six. She doesn’t know me very well. Speaking of putting things off, which could easily be confused with being lazy…I just call it a difference in priorities. This post was meant for Wednesday. But I slept in (hit-the-snooze-button-maybe-twenty-times- and -now -the -alarm -clock- lives- in -the- bathroom) on Tuesday, which meant my run was put off until after work, and my running is something of a priority. I wasn’t done running until late and after a quick shower and protein shake dinner … it was late. The sun had set. My favorite shows were no longer on TV. And the cat was napping on the couch. 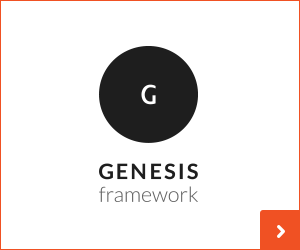 So…this blog got neglected a bit. Oops. Normally it takes precedent over dishes/laundry/any housework really…but falls just below sleep, running, and my actual job. Bummer. And I really wanna share this here recipe. It is super simple – you will, however, need a food processor. 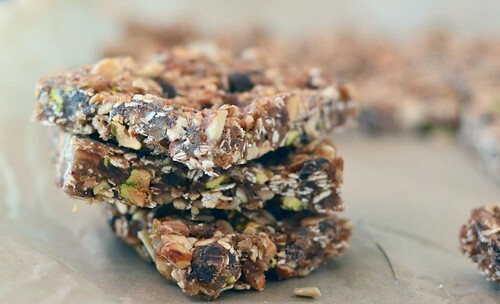 Within 15 minutes I had healthy, homemade, and nutritious snack bars. 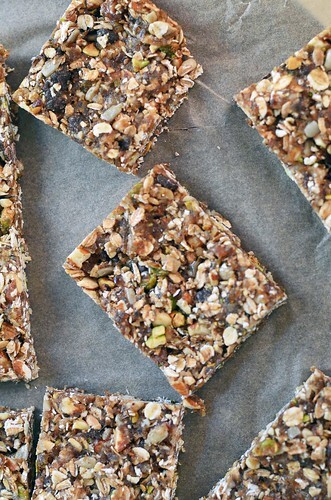 If a granola bar mated with a Larabar….these would be their offspring. That was weird. Chewy and sweet thanks to the dates, crunchy and salty from the nuts, and thanks to the rolled oats…chock full of whole grains. They are quite calorically dense…so cut them small. I like them after a good sweat session or a quick mid-day snack. I feel less guilty grabbing one of these vs. the brownies that are in my freezer and I am not hungry again in twenty minutes and there is no sugar crash…total win win win win. These are a total keeper. Plus, don’t you LOVE seeing the individual ingredients. I do. Makes my heart sing. These are great with dried cherries or strawberries and any mixture of nuts will work. Pecans? Yep. Walnuts? Sure. Pumpkin Seeds? Don’t see why not! (except they give me heartburn and I don’t eat them). 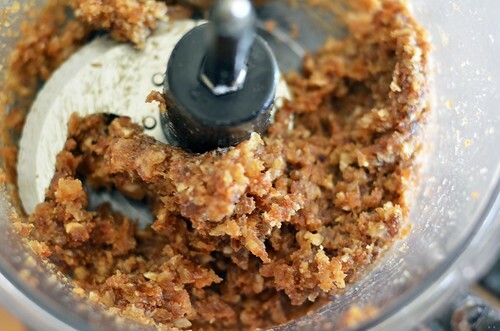 In a food processor, pulse the dates until a paste forms. Add cinnamon and vanilla and pulse several more times. Transfer date paste to a large bowl and set aside. 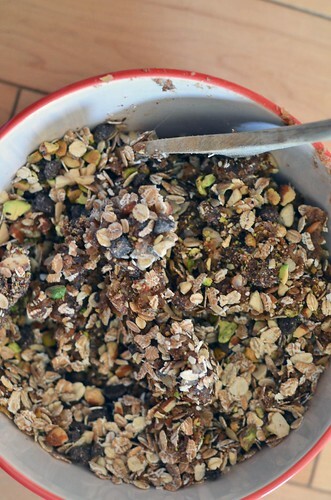 Place pistachios, almonds, and chocolate chips into food processor and pulse a few times until the nuts are roughly chopped. You can do this with a knife, but this was much quicker (and my knives were dirty). 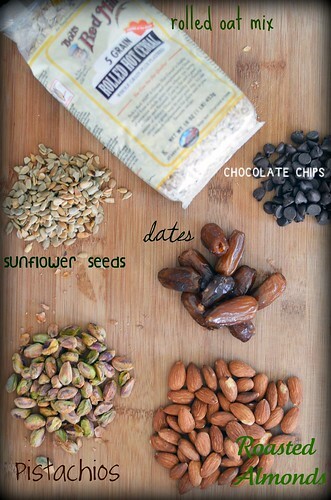 Empty this mixture into the bowl with dates, along with the sunflower seeds and the hot cereal mix. With a wooden spoon or with your hands (much easier) mix until everything is evenly incorporated. Press them into a 9×13 in pan ( I lined it with parchment paper) and place in freezer for at least an hour to firm up. Remove and cut into squares and enjoy. I prefer to keep them stored in the fridge or freezer – they remain nice and chewy and I LOVE chewy. « WE ARE Tough Mudders….